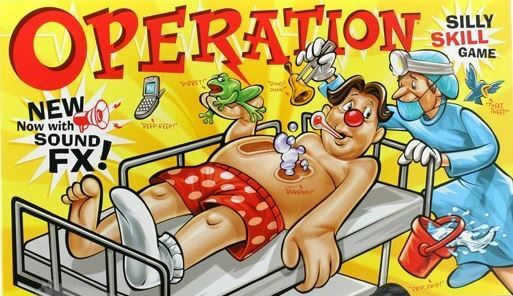 I never realized there were so many things to do before having an operation. And I don’t just mean all the tests and examinations that come beforehand. Knowing I won’t feel like cooking for a few days, there’s grocery shopping for the family so they don’t starve, something easy that even guys who don’t read instructions can prepare. There’s notifying your relatives, because you just don’t even want to know what a hard time they will give you if don’t. It’s brutal, believe me. There’s also tidying up some of the clutter since I probably won’t feel like doing any of that later either, for sure. Oh who am I kidding? The clutter can wait, right? And what’s up with the funky soap they give you? There are directions to wash from the head down, on the night before, as well as the morning of the operation. This is to reduce staff infection, but sheesh, what do the poor folks have to do that can’t manage a shower before the op? I would hope that these medical folks are not relying solely on my scrubbing abilities but on their own as well since I might pick up a dog hair from the wind on the way to the car, or germs from the door handle to the surgical facility. Or, what if someone sneezes or coughs around me in the waiting room? It’s enough to make a person a little paranoid. But, I am so not worried about tomorrow. Really. I’m not. At all. Anyone got a time machine handy? This entry was posted in Journal Post and tagged Humor, Journal, Medical, Post. Bookmark the permalink. Too funny! You did so good yesterday. I’ll call Dad to see if he need us to bring any meals over.